LOS ANGELES, Calif. /California Newswire/ — Mortgage Quality Management and Research, LLC (MQMR), a leader in mortgage risk management and compliance services, today announced that its Internal Audit services offering meets or exceeds the requirements for Fannie Mae seller/servicers to be in compliance with the December 19, 2017 Fannie Mae Selling Guide Announcement SEL-2017-10 update. The update describes mortgage lender internal audit requirements clearly with regard to independence and reporting lines, eliminating any perceived ambiguity from the current Selling Guide Eligibility requirements. Fannie Mae enforcement of the updated requirements begins July 1, 2018. MQMR adheres to the very specific auditing standards established by The Institute of Internal Auditors, ensuring that every internal audit it conducts meets Fannie Mae requirements. * The departmental and functional audit schedule for a minimum 12-month period, which should identify the areas subject to review during the current period and align with the risk assessment. * The departmental and functional audit schedule for the following 12-month period. For more information about MQMR Fannie Mae compliant Internal Audit services, go to: http://www.mqmresearch.com/services/internal-audit/ or send an email to: CompliantInternalAudit@MQMResearch.com. MQMR executives are attending the MBA’s 2018 Independent Mortgage Bankers (IMB) Conference, January 22 – 25 at the Ritz-Carlton, Amelia Island, Fla. If you’d like to set up a meeting about our Internal Audit services, or other MQMR services, drop an email to Info@MQMResearch.com. MQMR bridges the gap between risk and compliance through its suite of risk-related services. 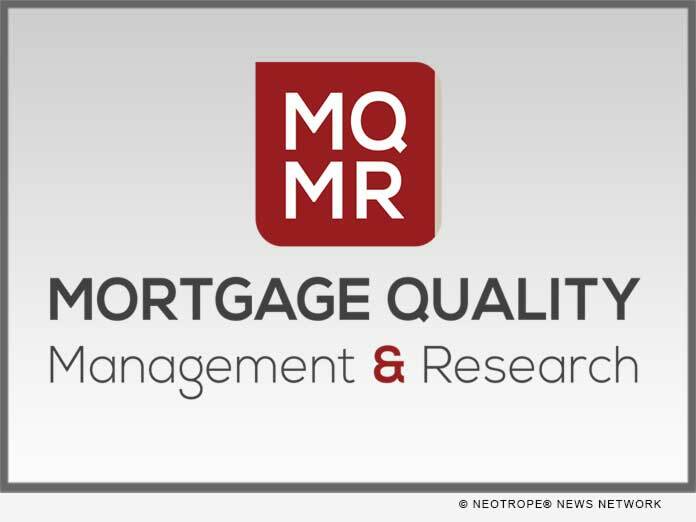 Since its inception, MQMR has launched multiple products and services to assist lenders in navigating regulatory requirements, providing mortgage compliance consulting throughout the origination process, servicing QC and subservicing oversight to master servicers, and filling the void of meeting vendor management oversight requirements. With 1,500+ operational reviews of mortgage companies, subservicers, document custodians, and vendors annually, MQMR prides itself on being an industry leader throughout the entire life cycle of the loan. MQMR is viewed as an industry leader in counterparty risk and compliance.